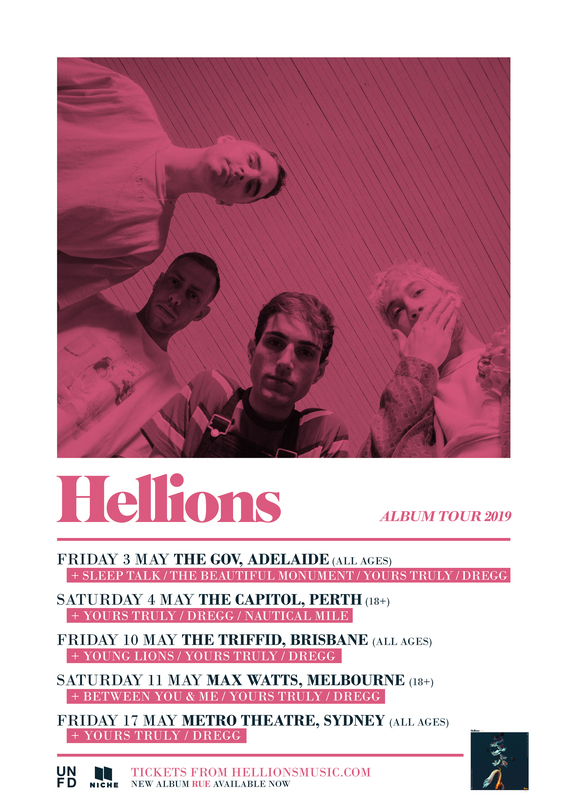 After blowing away audiences at UNIFY 2019, Hellions are taking their critically acclaimed album ‘Rue’ around Australia this May. Bringing their most ambitious live show to some of the largest venues of their career, the ARIA nominated Sydney 4- piece will be joined nationally by special guests Yours Truly and Dregg. The band has also handpicked some of their favourite support bands along the way including Stand Atlantic, Young Lions, Between You & Me and Sleep Talk to open in each city. In 2018, Hellions released anthemic single “X (Mwah) “, immediately hitting triple j high rotation and selling out their launch show at the iconic Lansdowne Hotel within 2 days. October saw the celebrated release of their fourth album “Rue” which landed at #6 on the ARIA Australian Album Chart. 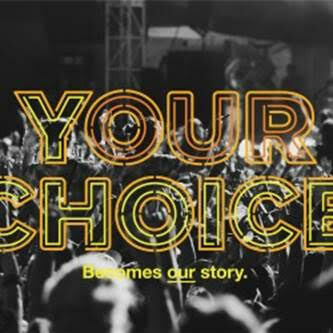 The band held a series of launch parties to celebrate, playing three sold out shows on the East Coast of Australia before being added to the UNIFY 2019 lineup by popular demand. Current single ‘Smile’ was premiered on triple j Good Nights and later added to full rotation. Hellions have refined their genre defying, theatrical sound over a career which has seen them release four albums; “Die Young” (2014), “Indian Summer” (2015), “Opera Oblivia” (2016) and “Rue” (2018). They released their career defining third album “Opera Oblivia” in 2016. Since its release, Hellions scored triple j Feature Album, received a #4 ARIA album debut position and an ARIA Award nomination for Best Hard Rock/Heavy Metal album. Hellions are known for their high-energy and frenetic live show, having toured Australia, UK and Europe multiple times including supports slots with The Amity Affliction, You Me At Six, Northlane & Comeback Kid. They’ve also won over festival crowds at UNIFY, Yours & Owls, The Plot as well as 2000 Trees, Impericon and Slam Dunk festival in the UK / Europe.